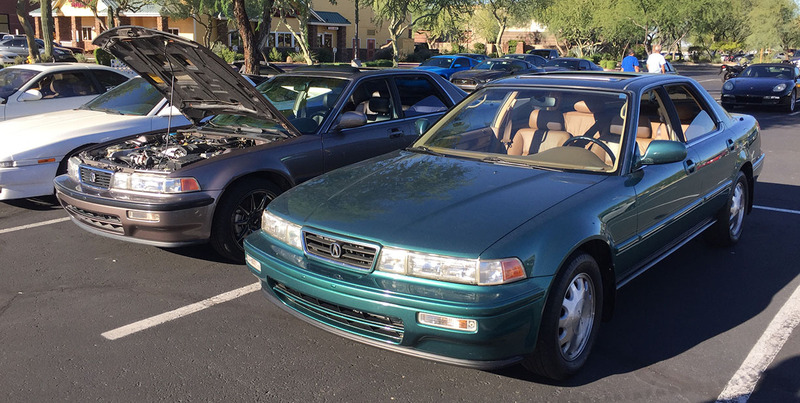 Eenie, meenie, miney, mo, that’s exactly how I ended up picking which car to take to a ‘Cars & Coffee’ event last Saturday morning in North Scottsdale. But apparently, I made the right choice, because I happened to pick the Vigor which led me to make a new friend who has the same model. 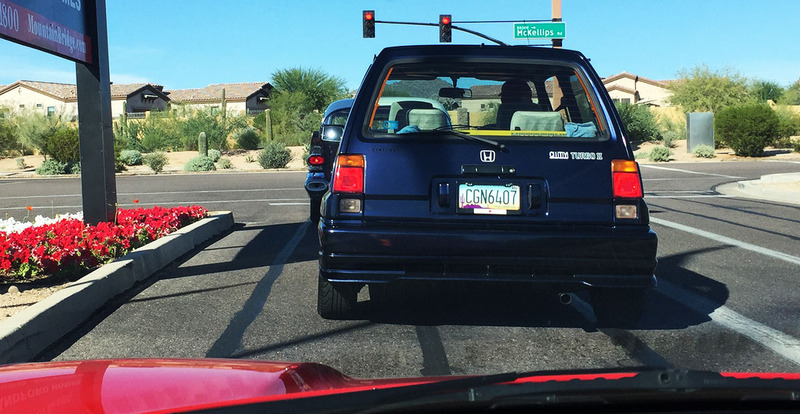 I coincidentally ended up near Gavin who drives a 1992 GS model in Rosewood Brown. 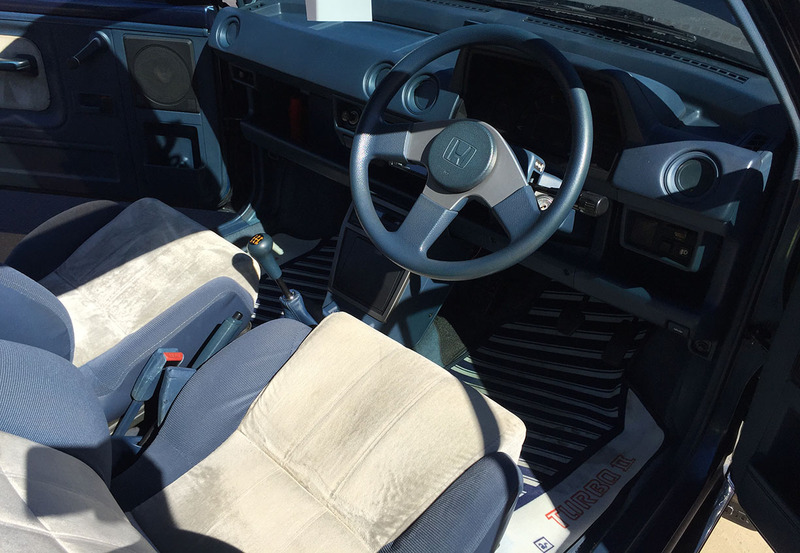 It’s an automatic with only 126,000 miles on it and he purchased it just a few months ago. 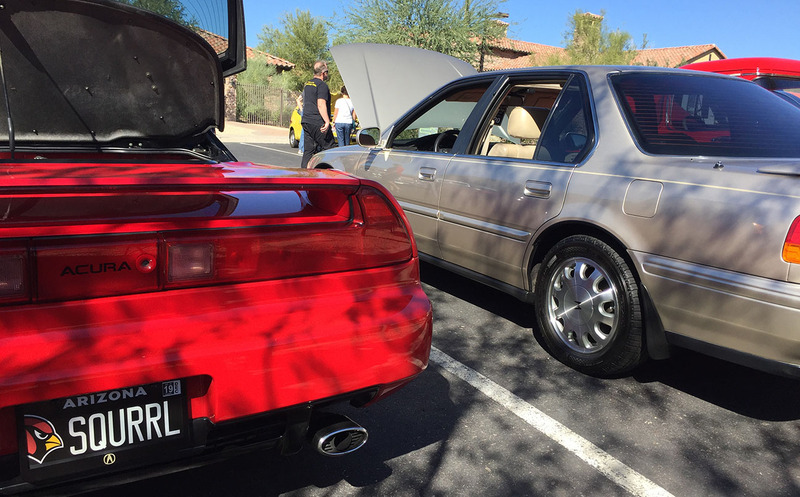 It was nice to have dual representation for such quirky cars, especially in a venue that attracts mostly high-end exotics. 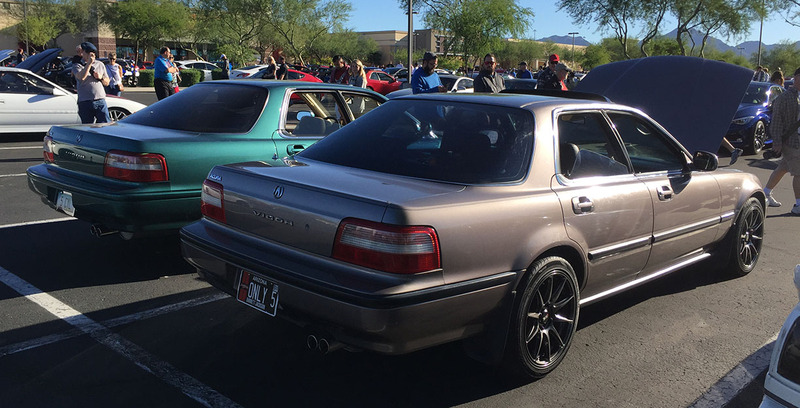 It’s definitely car show season now. 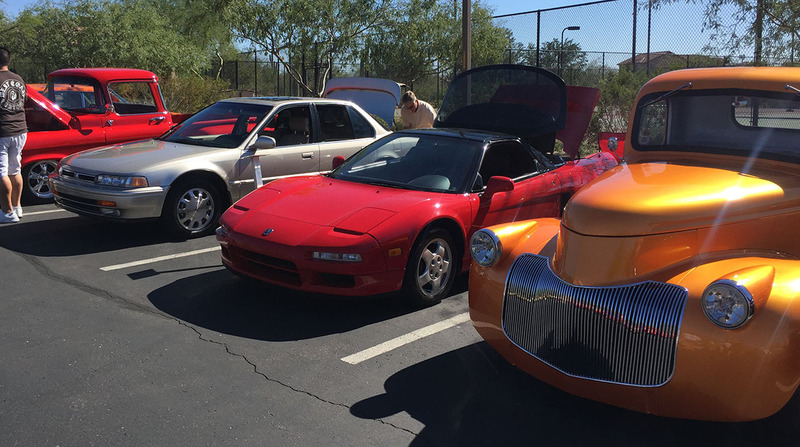 While in some parts of the country, people are tucking their sportscars into hibernation and plugging them into the wall with battery tenders, here in Arizona it’s time to bring them outdoors and enjoy the primo weather. 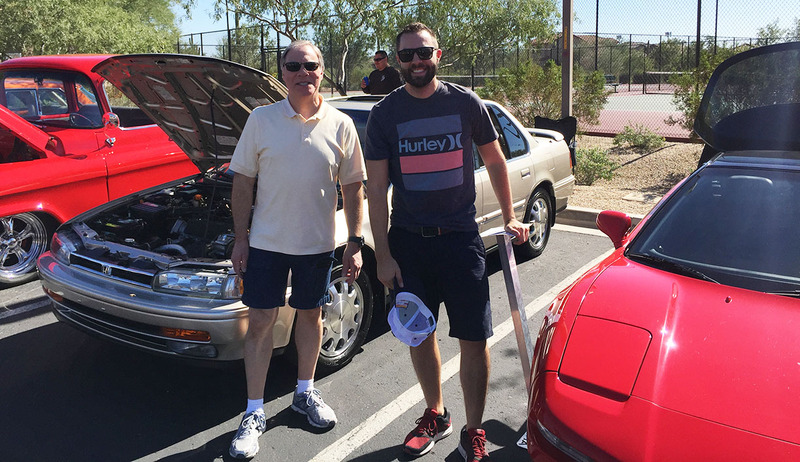 This past Saturday, I attended the Mountain Bridges Classic Car Show in Mesa, Arizona, which I learned about through my friend Greg. Now in its 9th year, the MBCCS is largely dominated by 1950s & 1960s American hot rods & muscle cars, but we decided to spice up the roster with a few cars from Japan. 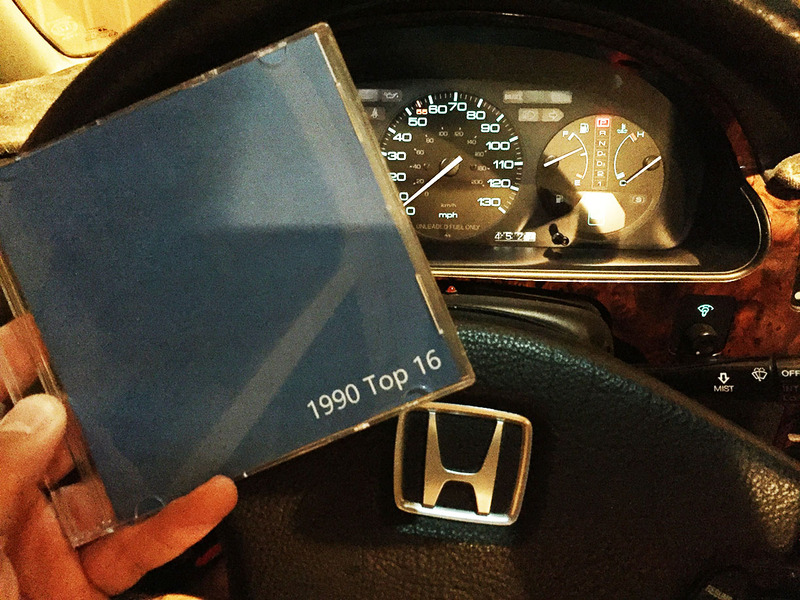 Greg took his newly-acquired 1983 Honda City Turbo II, Hy took his 1993 Honda Accord SE, and I took my 1992 Acura NSX. 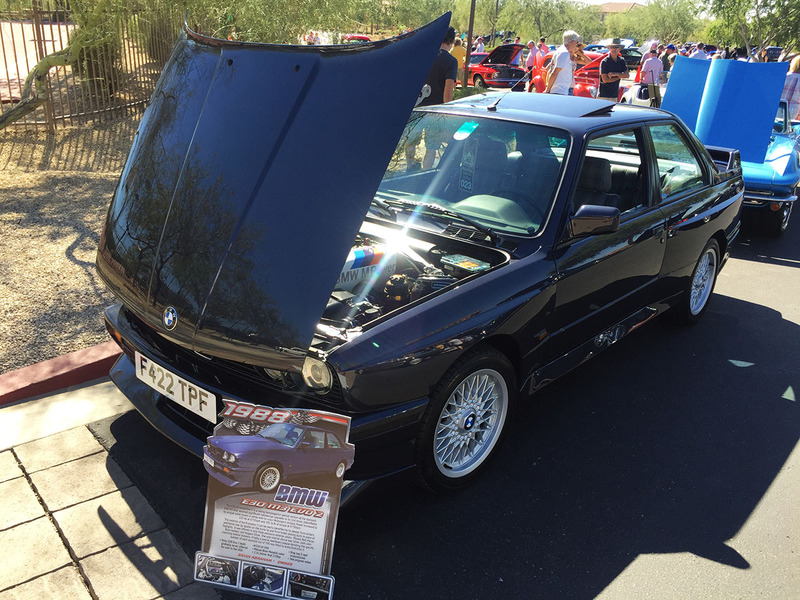 It was great to spend a couple of hours admiring some of the other sheetmetal including an exceptionally rare and clean 1988 BMW M3 “Evo 2” owned by a guy named Brian. It was stunning for 30 years old. I had some pork brisket from the food truck on-site and enjoyed engaging in commentary with some of the other attendees. Here’s a short video from the show. The other cars have had their own time in the limelight in recent weeks, too. 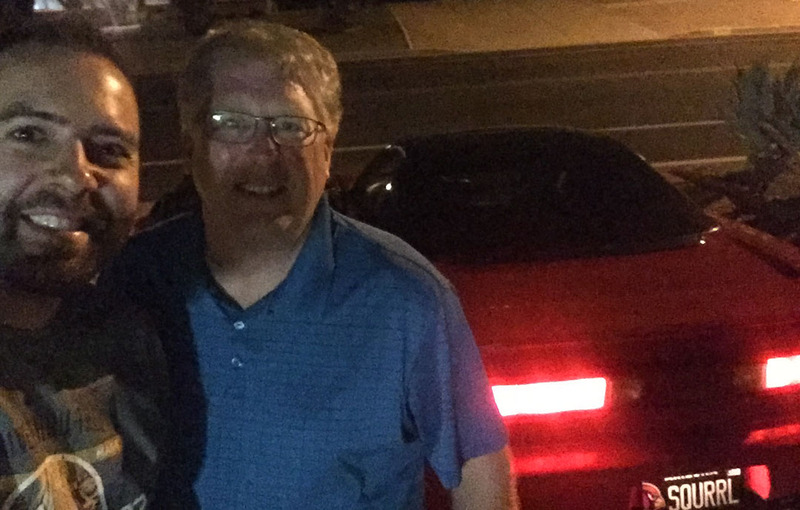 The Legend coupe made an 800-mile trip to southern Utah for a 7th birthday celebration for my nephew. 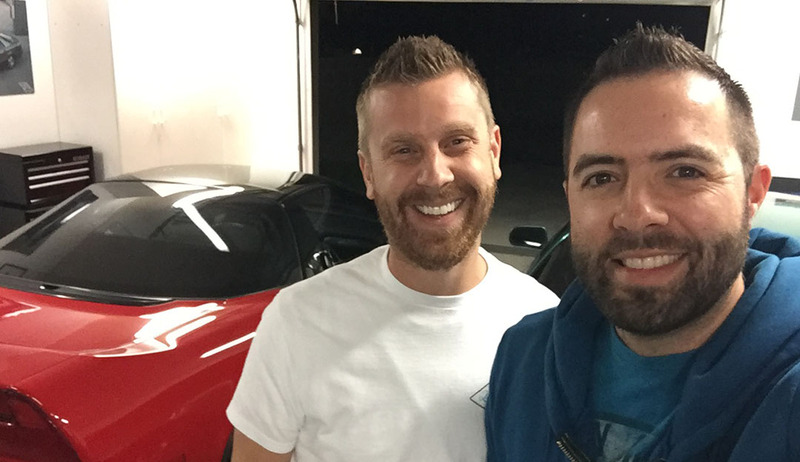 I met up with “Honda Pro” Jason Richmond while there, who was in the area in advance of the week-long SEMA automotive aftermarket show in Las Vegas the first week of November. 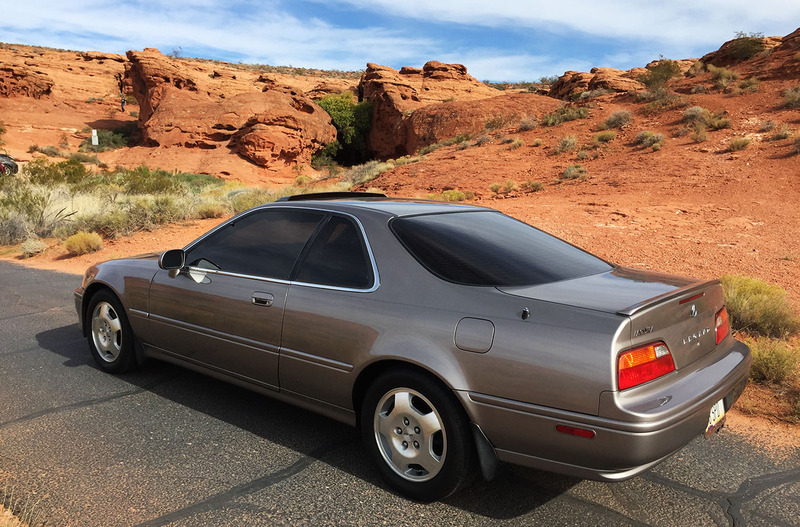 Here’s a photo from Pioneer Park in St. George – one of my favorite places to take car photos thanks to its scenic one-lane loop. 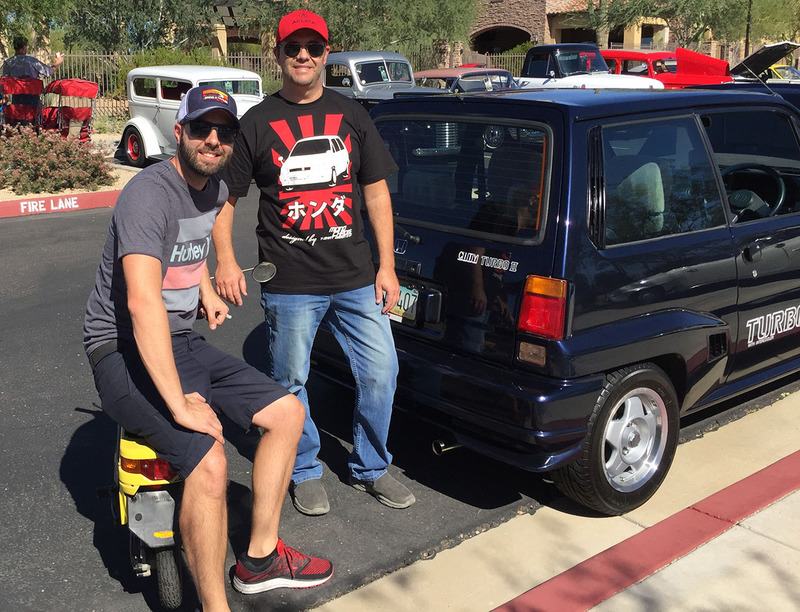 With the man himself, Honda Pro Jason. 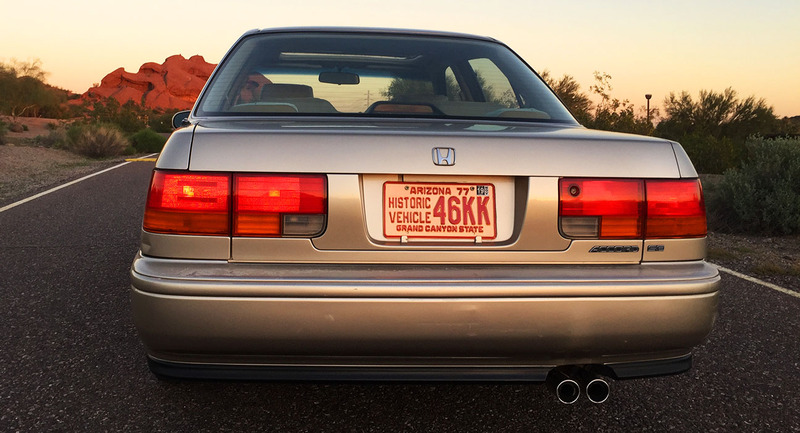 He has amassed over 110,000 Instagram followers (and equally sky-high reach on other social venues) thanks to his work over the years as a Honda brand ambassador. It was nice to connect with him & his family for a few minutes. 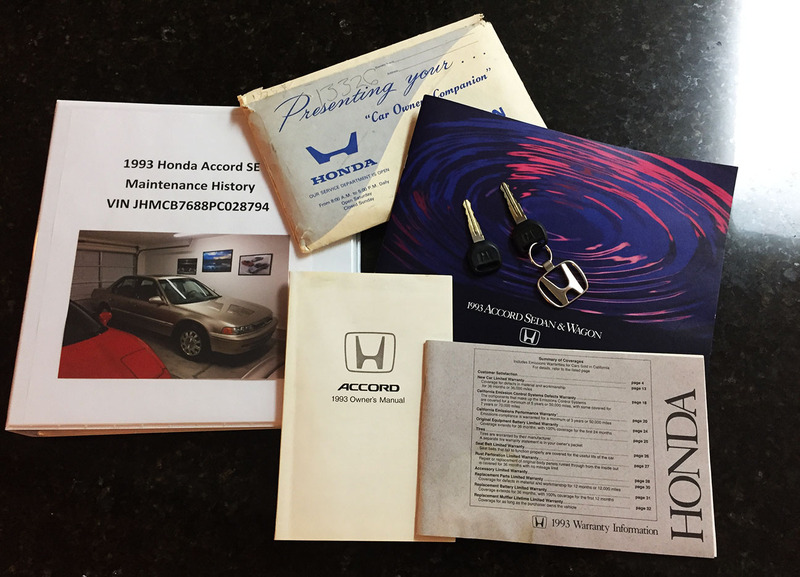 Speaking of my own Hondas, The 1990 Accord EX and 1993 Accord SE got historic tags, and I’ve already since sold the 1993. 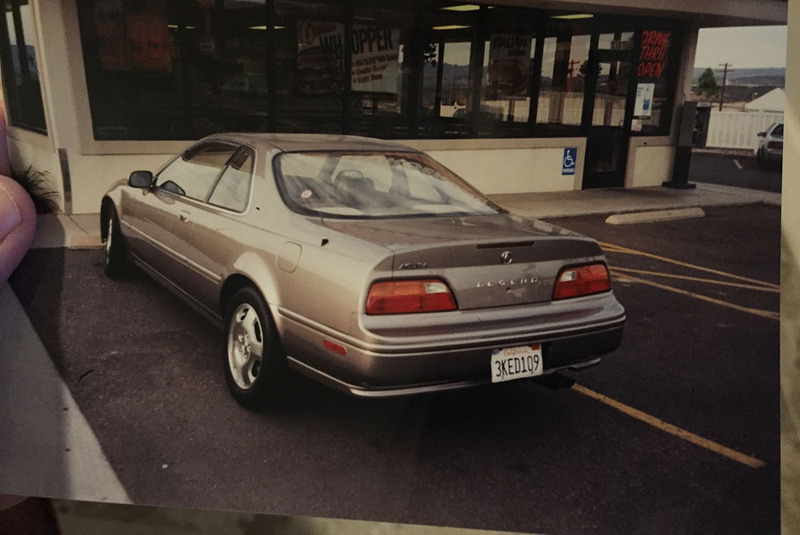 These were a few photos from the craigslist for-sale ad for the 1993, which in typical Tyson fashion, went into great detail about the car’s ownership and maintenance history, despite the fact that I didn’t own it for very long. 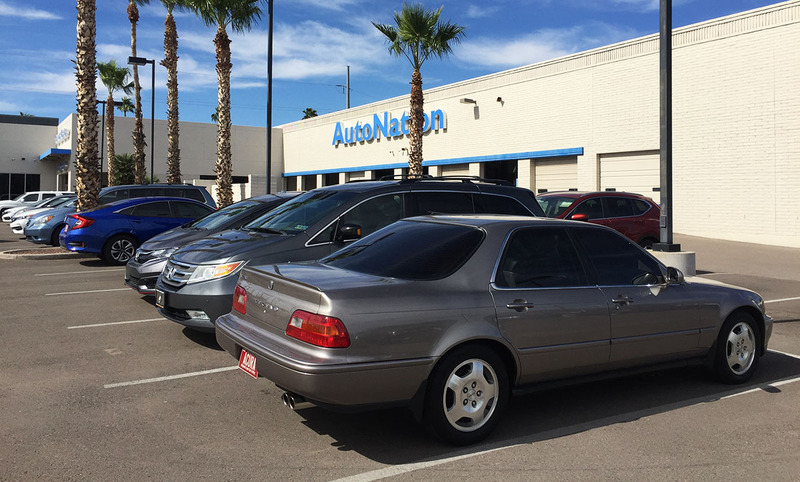 I was able to get ahold of information about detailed maintenance services performed at the AutoNation Honda dealership in Tucson, including a timing belt just 4 years ago at 282,000. I sold the car with 302,200 on the odometer. 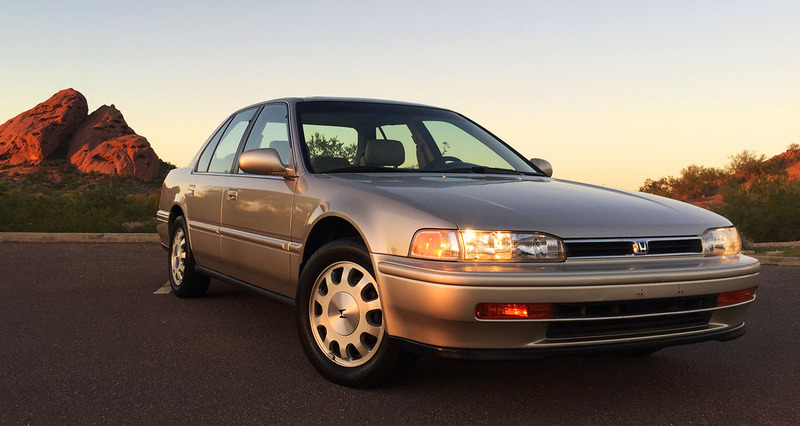 It still ran and drove great, and passed emissions test requirements with flying colors. Maintenance binder and dealer brochure – because, duh! 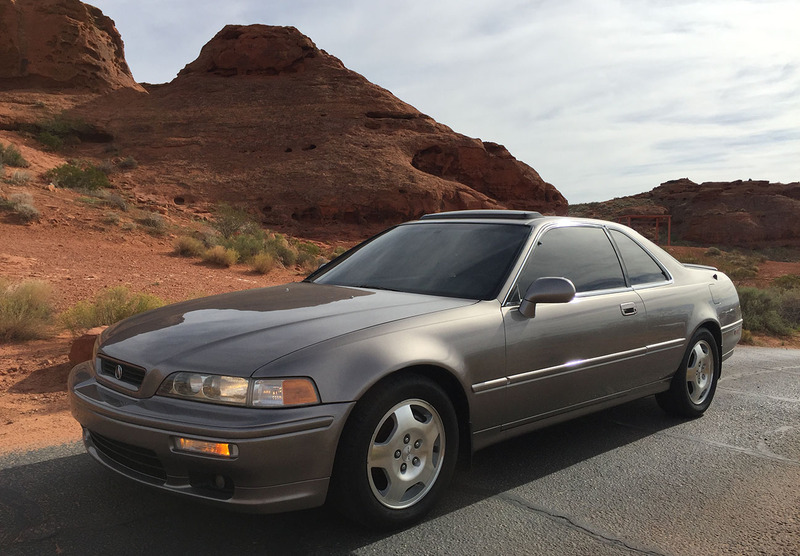 My asking price was $1,200 and I took $800. 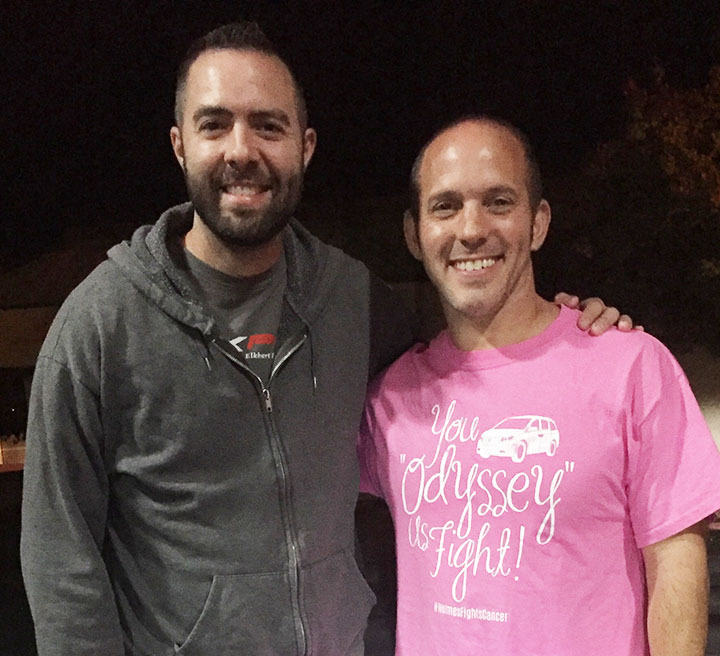 A visit from my friend Kevin from GA. Hi Kevin, if you read this! Visit from my friend Matt from UT. I know he’ll see this one! Thanks for stopping by! 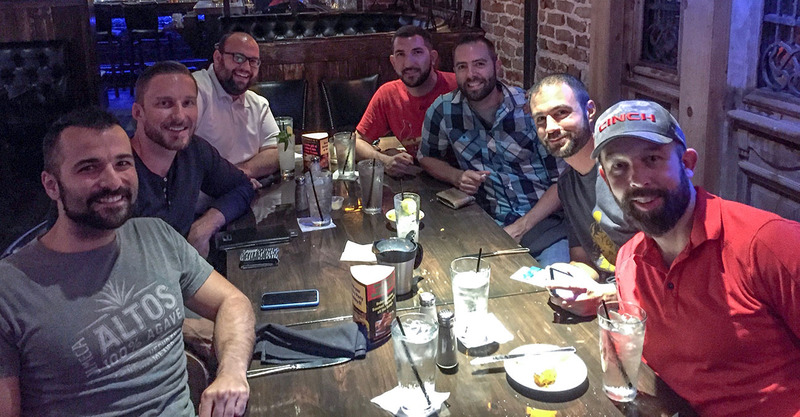 Group dinner with my friend Nick visiting from TX. It’s been a busy few weeks! 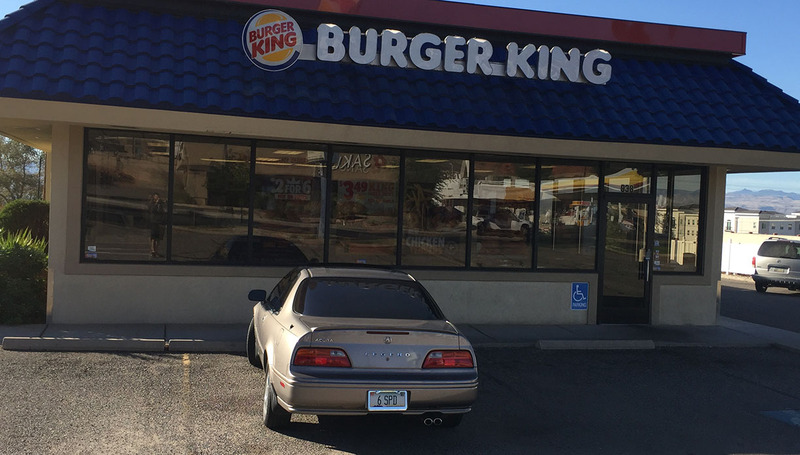 Photo from 2003 with the Legend coupe at a Burger King in Utah. Same location (okay, one spot over) 15 years later in 2018. The main thing I noticed was that the pay phone at the corner of the building is now gone. I love re-creations. Have a great rest of the week! 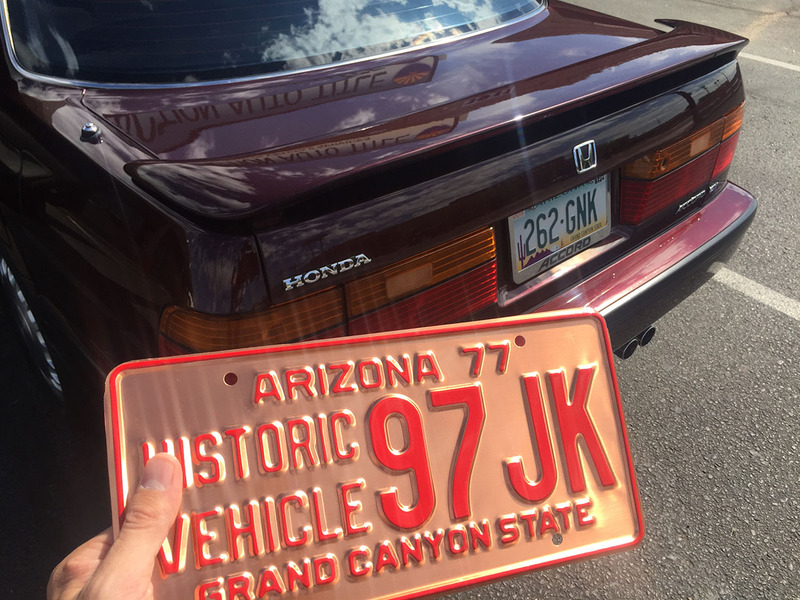 Stay tuned for a drive this Saturday to Organ Pipe Cactus National Monument in southern Arizona. I’ve been itching to get out of town and explore something new. 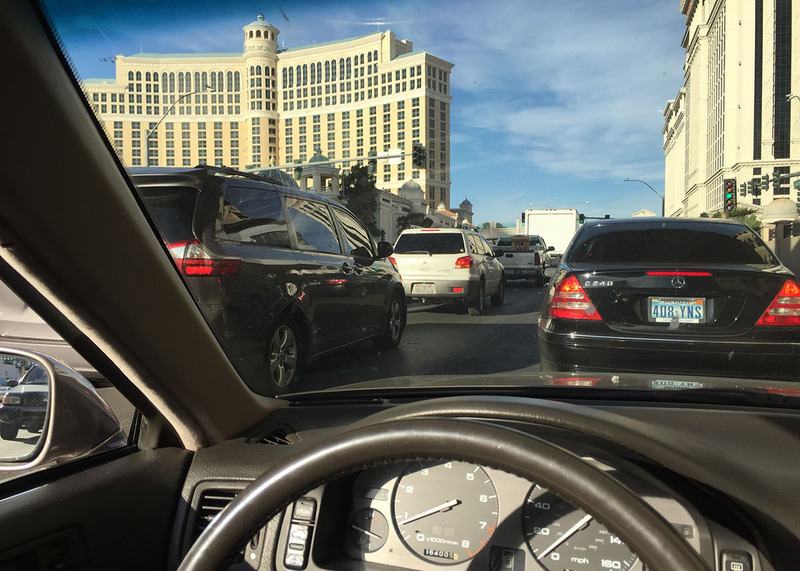 You are currently browsing the drivetofive blog archives for the day Thursday, November 8th, 2018.